Discussion in 'Reviews and Articles' started by ElGatoFlojo, Oct 4, 2008. This is my first article for Tweak3D. For those of you who don't know me, a brief little bit here. I've been playing with PC's since....well...pretty much before time. I'd try and explain it but it would make your head explode [and mine =D -ed]. Let's just say “over 15 years now.” I play with them at home, I work with them for a living, and there's a gadget within arms reach of me at all times. My passion is Linux. I got started with it when it was nothing more than 10 floppies and a lot of head scratching. What am I here to write about? I'm not a top notch, frame rate tweaking, hydro-dynamic water cooling kind of tweaker. 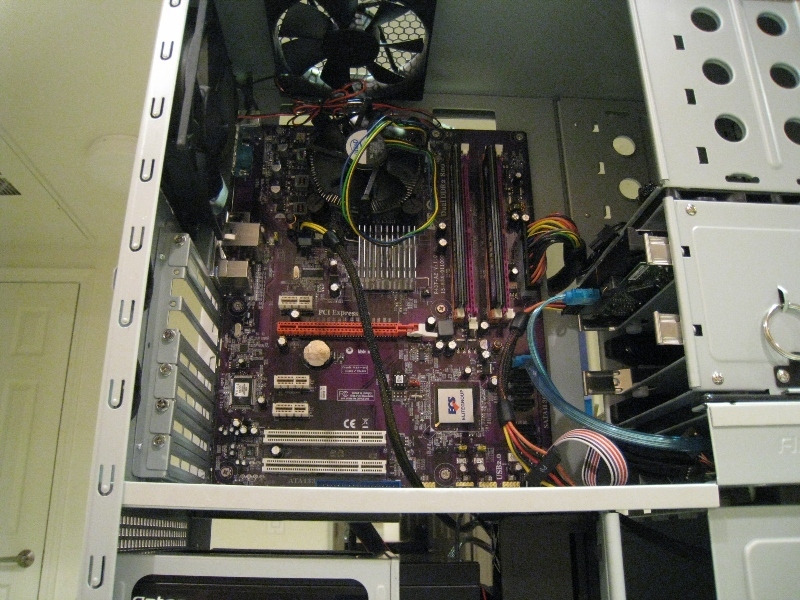 I know my way around motherboards, memory, video cards and the like. But I'll be the first to admit I don't know how to get that extra 5 frames per second. What I am is someone who lives and breathes technology. I'll probably be the first one to stick something in my head when they come out with that type of personal hardware (well, maybe release 2.0. There are some things you just don't want the beta version of). I'm here to write about things that I think are cool, and ideally it'll be things you're interested in reading about. I'll freely admit things are probably going to have an open-source bias to them. But at the same time it'll be things everyone is interested in... not just the last patched Linux kernel that supports WiMax (for example). 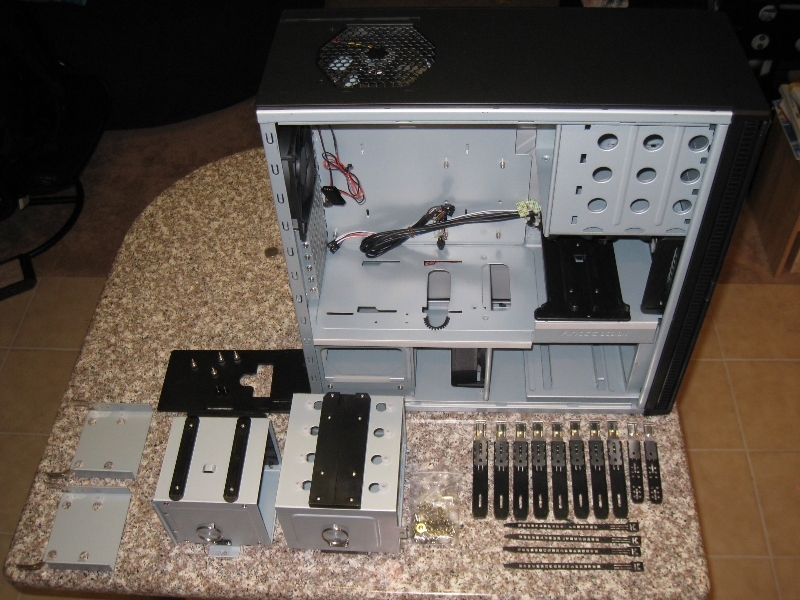 I'll be starting off with a series of articles that focus around building a gaming machine. Since I'm just getting started with this again, it's not going to feature ultra high-end hardware. It'll be more the Fry's or NewEgg kind of stuff. This will feature some of the recent hardware that is floating around, and what to do with it. 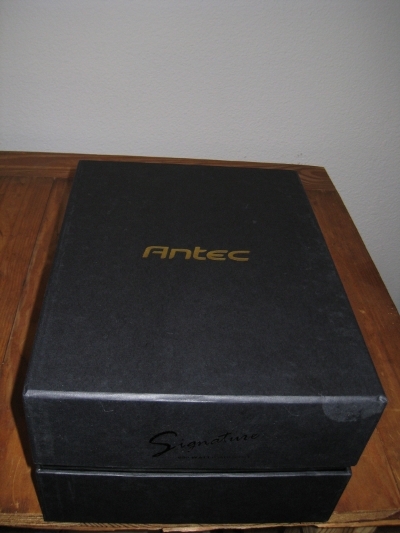 The first article takes a look at the Antec Signature SG-650 power supply and Antec's P182 advanced super mid tower. So let's get right to it! 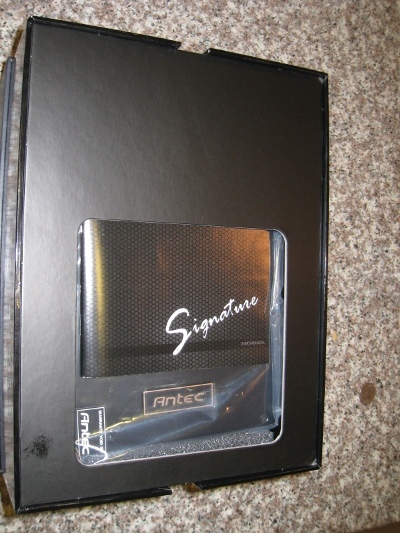 The Antec Signature 650 comes in this really cool black box. It looks like something you might bring home from shopping at the Oakley store. So, if you need to sneak it past anyone, it'll get the job done! But once you get inside, it's business time! This is what it looks like pulled out of the box. As you can see there are three modular spots, each with the voltage labeled. No, that's not where your fingers go. 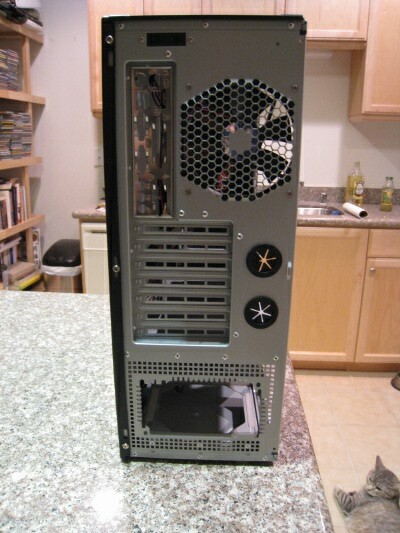 Now that we've gone over the power supply in detail, let's look at the case. First off, I like black. It's not that I'm morbid or have Gothic tendencies. I just like black. 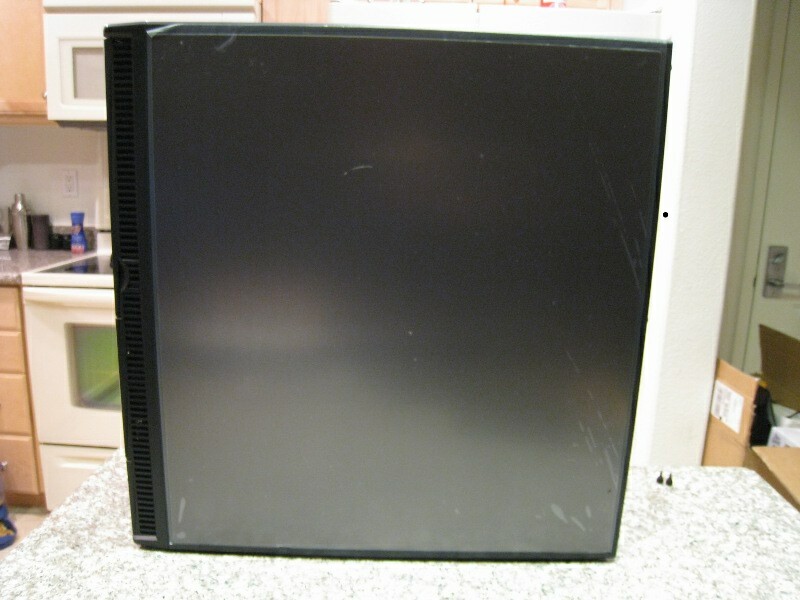 And this case is like some silent black monolith (okay, maybe a silver-kinda-black monolith). It's got the usual USB/Firewall ports on the front, and a headphone jack. The power switch is hidden behind the door: good so that you don't just turn it off, bad in that you do have to open the door to the case each time. I also like the magnetic catch part, since there's no moving parts to break in the future. The lower two sections open and have changeable air filters for the 92mm fans that sit behind them. If you've got an animals that sheds copious amounts of fur, this will come in handy in the future. Moving to the inside of the case... there's a lot of room in here. 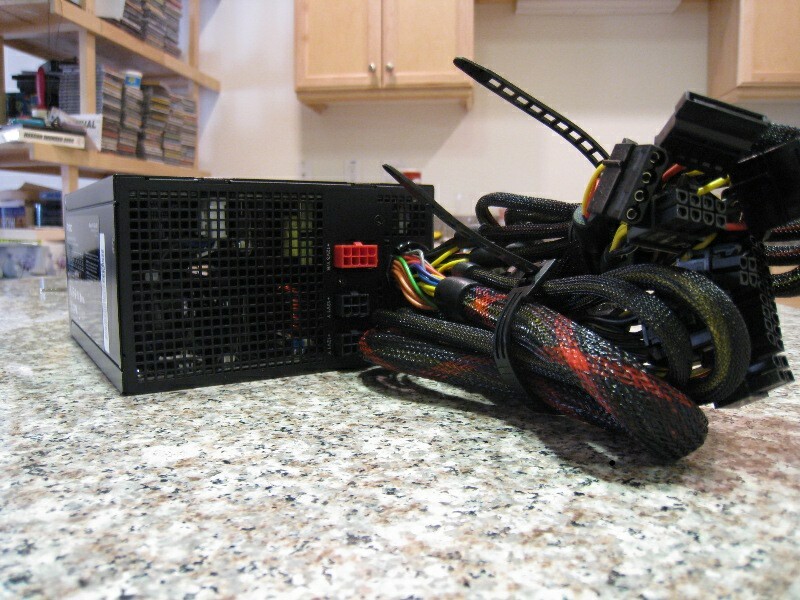 The power supply sits on the bottom and has its own little cage. Another small point is the rubber around the metal tray that also dampens vibration. 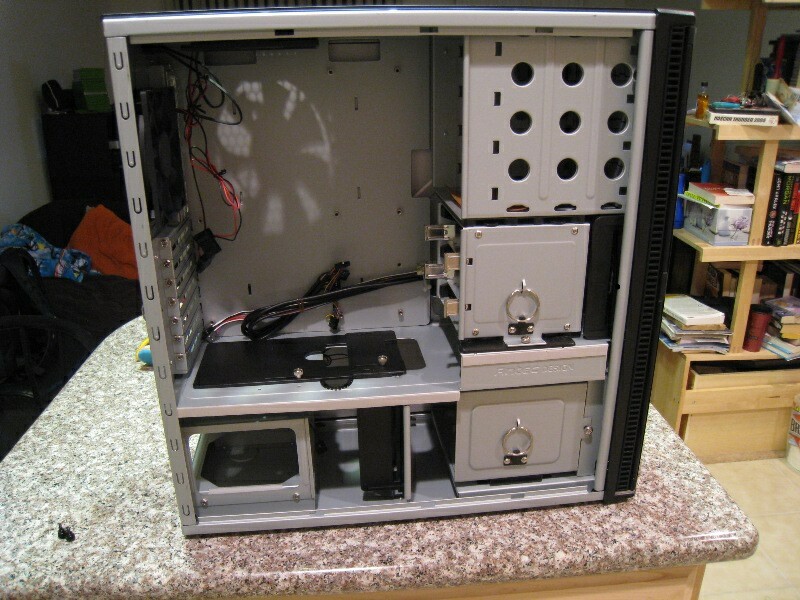 There are two 3 1/2” hard drive bays, with rubberized mounts as well to insulate the drives' mounting points. 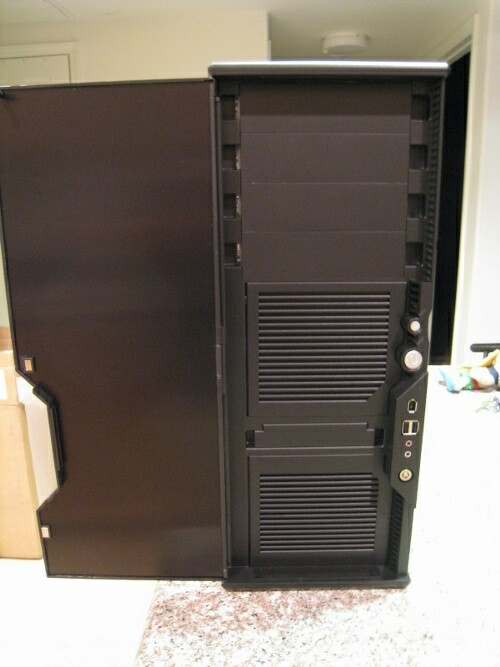 And it offers four 5 1/4” slots for DVD/CD/nuclear weapons that fit in a drive bay. The back of the case has 7 slots, the usual spot for the motherboard template, and also two nifty little rubber grommet ports for add on liquid cooling, if thats your thing. On the back, there are slots for cable management, by putting some little plastic grommets and running the wire through there. Installing the power supply and the motherboard in the case was a snap. The actual motherboard tray doesn't come out, but it wasn't cramped by any means. After a bit of poking and maneuvering , this is how it looks with a motherboard installed. 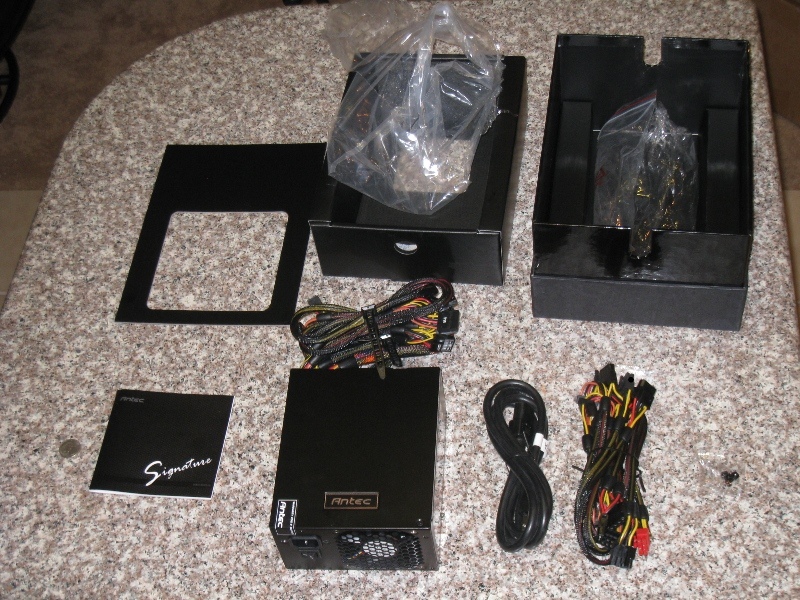 This is everything that came with the case, and if you look closely you'll see on the side of the hard drive bay casing, its got a little plastic tool box! I know this comes on a lot of cases, but its one of those small things I found really cool. Since I'm prone to losing screws all the time. Not that I'll keep them in there, but its just nice to know I can.